I try to update this page as I discover new things that make the hobby more fun and allow you to avoid getting skunked if you operate outdoors like I do. I think everyone’s got a pocket knife. This one is my favorite. 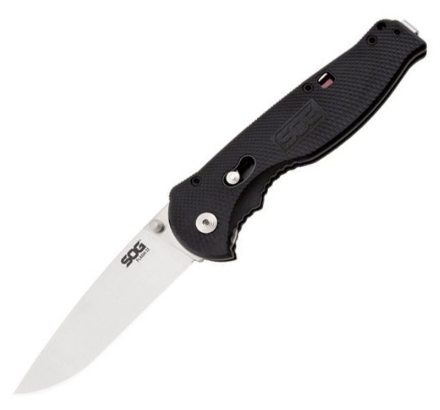 It’s light, it fits my hand well and I love the stainless-steel blade with the small serrated section near the hinge. The reversible belt hook is dandy too. My mentor, Jim Cluett – W1PID, introduced me to this fantastic polyester line. He bought his first one primarily for the excellent spool. 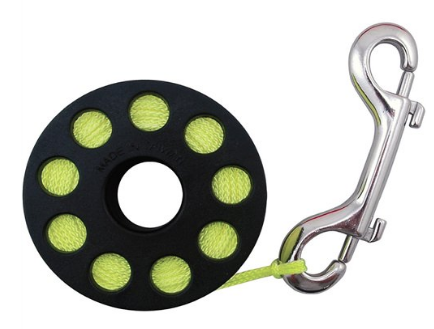 I have to admit, it’s the best spool I’ve ever used and allows you to deploy and wind up the polyester cord fast. 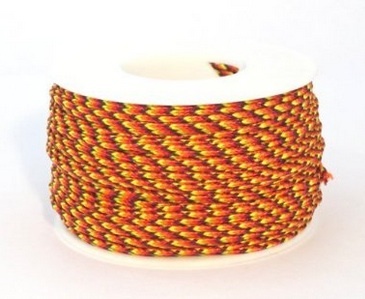 This is what I use as my halyard to hoist my wire antenna up into a tree. I discard the stainless steel snap hook thingamajig. The antenna is not on in this photo. There are many great videos on YouTube showing how to set up this little wonder. It’s perfect for a hike or on a boat where bad things could happen to an expensive HT! Here’s something I’m going to get, but don’t own yet. A bunch of my club buddies own one or two! Can you believe a decent HT for under $30???? 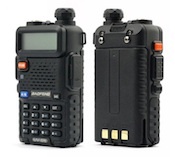 Seriously, the BaoFeng UV-5R was less than $30 the last time I looked. I own several Yaesu radios – the FT-8900R and two VX-7Rs. They are wonderful radios and easy to operate. I especially LOVE the cross band repeater function in the FT-8900R. This allows me to be away from my truck with my VX-7R HT and transmit on 445.550 at just 0.5 watts. The FT-8900R in my truck receives the signal and in real time re-transmits it out at 50 watts on some other frequency! Typically I set the FT-8900R to a local repeater. This way, if I’m out hiking and get hurt, my truck becomes a giant beacon to let people know I’m in trouble. Be sure you look at the right backpack. You want one with all sorts of internal compartments like the one I have. 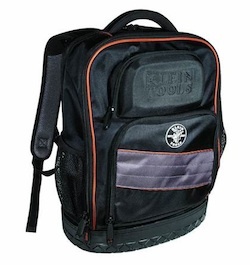 I just took delivery of a Klein Pro backpack made for craftsmen who need to carry around tools. These backpacks are PERFECT for hams doing public service work because they have all of these special internal pockets and dividers and ???? to isolate all of your radio components, batteries, and STUFF you need while in the field. Regular backpacks just become a dark hole where stuff bounces around and bangs into each other. The bottom of the pack is made from rubber or a rubber-like plastic so when set down on wet ground, the contents stay dry. You’ll LOVE this backpack. My shack rig is an ICOM-7000. Hang out long enough with seasoned ham radio operators and discussions about ICOM, Kenwood and Yaseu radios will take on the tone and authority you hear when a group starts talking about their Ford, Chevrolet, GMC or Dodge pickup trucks! Are you hanging antennas up in trees? You’ll need microcord and parachute cord for sure. If you do decide to do public service work like I do, you MUST wear a safety vest. They’re super cheap. You can sew on different patches that are available from the ARRL or your local club may have some. I got the Liberty HiVizGard mesh one with pockets. It’s Class 2 and VERY VISIBLE. Get the mesh one so you don’t overheat in the summer. 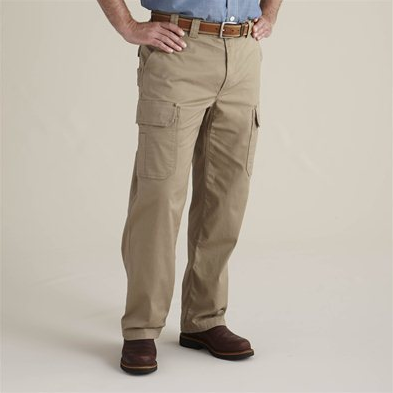 Speaking of clothes, I LOVE my Duluth Trading Flex Fire Hose Work Pants that have countless pockets. They’re durable and fit really well. I wish Duluth Trading had an affiliate program. They also make this same style in shorts for summer use. I have two pair and wear them all the time. Ladies, Duluth Trading makes a ton of stuff for women too. This is not a bad photo, but I wish there was a close up of the pocket situation. There is a sleeve for your cell phone and both interior and the flap pockets. I LOVE these pants. They come in different fabrics, weights AND flannel lined if you live like I do in cold places.